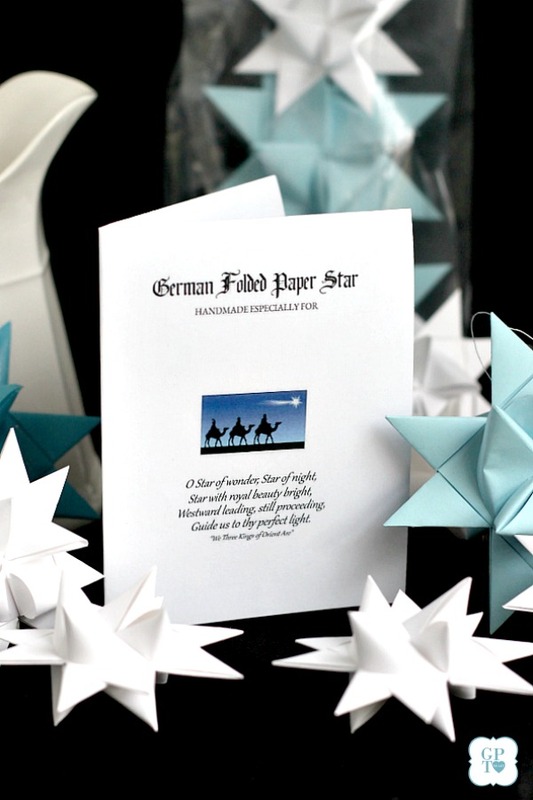 Beautiful folded paper German stars remind many of childhood when they were made at Christmas time. I made an easy to follow, step-by-step video tutorial to guide you through the process. 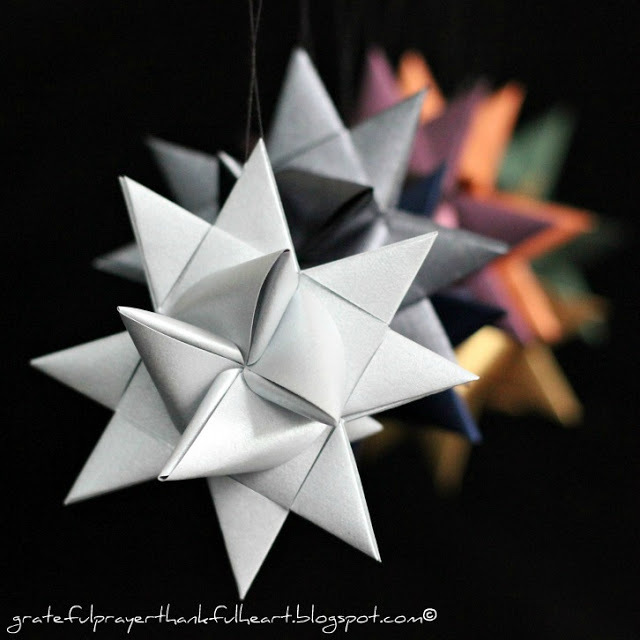 After making a few stars you will be able to make them quickly and probably won’t want to stop. Link to the video is below. You can leave the paper stars plain (as I did the blue ones) or dip them in wax to give them a protective coating. Sprinkle on some glitter for sparkle, if you wish. They’re all pretty! 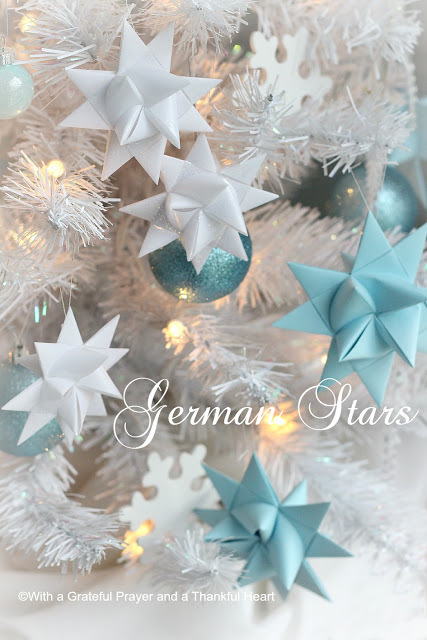 You can see the waxing process by clicking Dipping German Paper Stars. Stored carefully to prevent smashing, the stars last year after year. You may even have a few from your childhood. 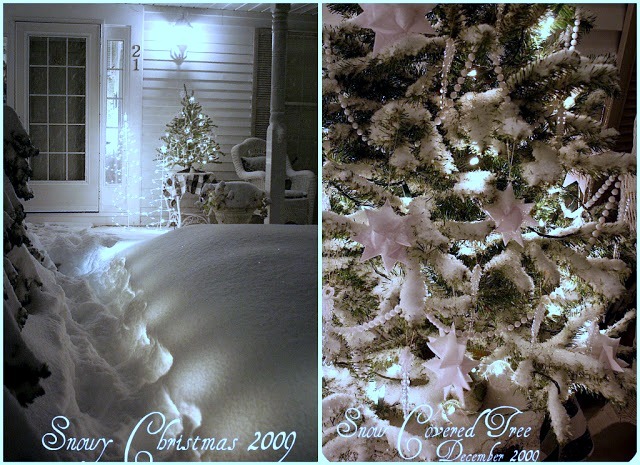 I have even used the waxed stars on an outside porch tree. 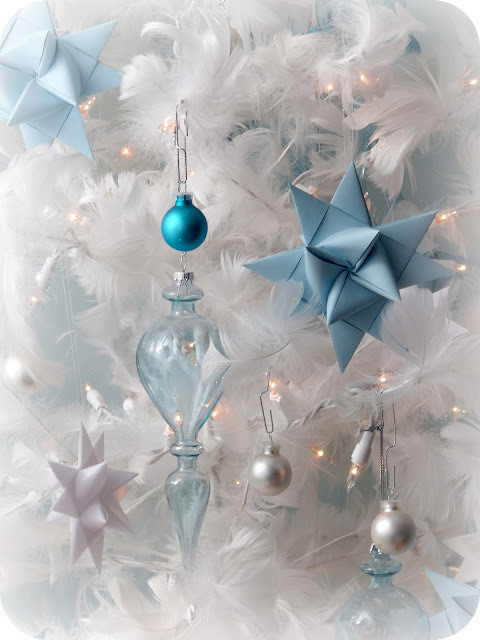 The stars in the photo above are made from bold metallic paper. 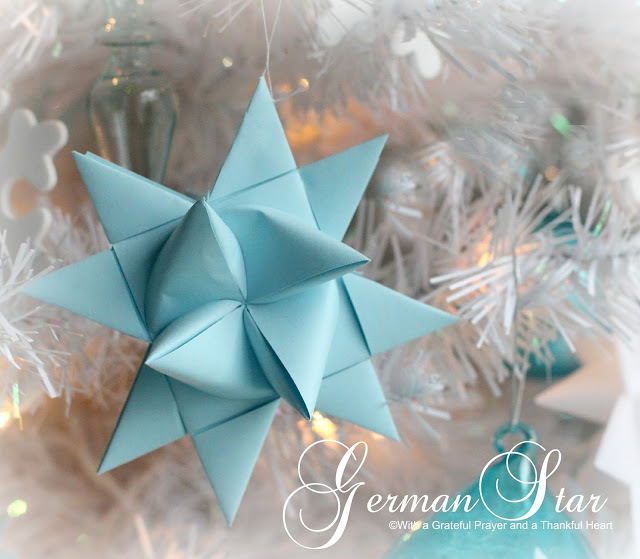 To see the step-by-step video tutorial for make the paper stars, Click Paper German Stars Video Tutorial. 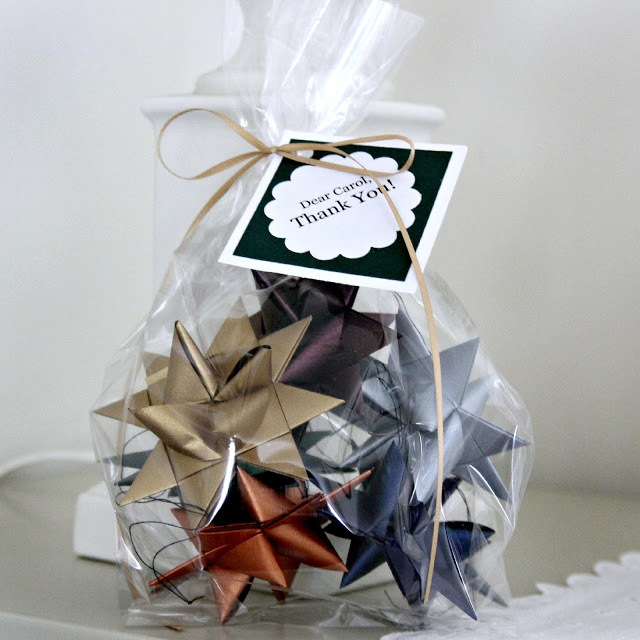 Pretty stars make lovely gifts. 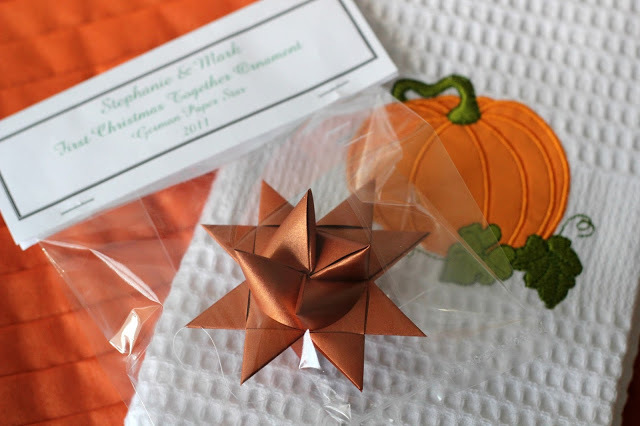 I added a star to a bridal shower gift made to match the colors of the wedding party. Here is a link to where I purchased the paper strips. My aunt had given us some when I was I child; they were one of my favorite decorations and about the only ones I really remember aside from the strands of tinsel that were so popular in the 1950s-60s. Beautiful star! Never seen here such one! they are so pretty, and I enjoyed making them from your tutorial….wishing you a happy day!